Behold & Reflect: "What Your Body Knows About God" author Q&A + GIVEAWAY! "What Your Body Knows About God" author Q&A + GIVEAWAY! 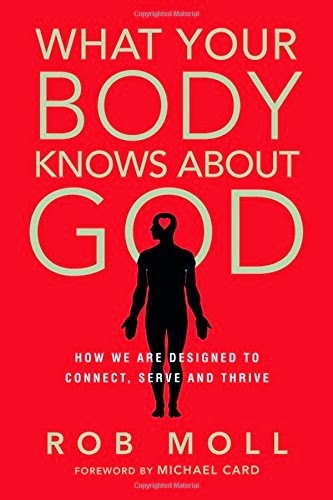 I’m very excited to present a Q&A with Rob Moll about his new book, What Your Body Knows About God, in which he explores how current brain research uncovers our God-given need to connect deeply with each other and with God. The book weaves together both the intricacies of human physiology and personal experiences in an honest, approachable style. 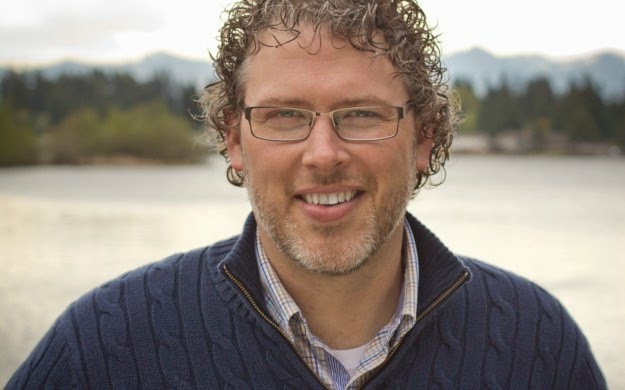 Rob is an editor-at-large with Christianity Today and serves World Vision as communications officer to the president. Rob, his wife Clarissa, and their four children live in the Seattle area. He also happens to be my childhood friend, and I have many fond memories of Wednesday night youth group hosted by his parents at their home. He’s generously and thoughtfully answered my many questions, so enjoy reading Rob’s responses below. Emily: Who do you feel will benefit most from reading this book? Rob: My main audience is Christians who want a deeper prayer life or those who are interested in the connection between science and faith. That's not really a demographic that you can identify with a pollster and target a book to, but I think a lot of Christians want a deeper connection to God through prayer. This book, I hope, is a fun and encouraging way to understand how we are designed for that kind of connection. Emily: You did a boatload of research on brain chemistry and behavior, much of which you've featured in the first section of the book. Which studies' conclusions surprised you the most? Rob: Reading Andrew Newberg's research on the brain and spirituality was key. One thing he found was that an area of the brain that is stimulated by prayer is also involved in social interaction. So people who pray can increase their sense of care for other people, their compassion. For me it was astounding to read this research that said loving God helps you to love your neighbor, which as Jesus said, are the two greatest commandments. Emily: One of the most powerful chapters in your book for me was when you described Clarissa's crisis of health, which almost tipped you toward a crisis of faith in your thesis that God perfectly designed us to connect with him and other believers. What has helped most to restore your confidence? Rob: Learning how God has also designed us to respond to suffering. Yes, our bodies are often broken. As healthy as prayer and spirituality are, it isn't a magic formula for everything going perfectly. Things go wrong, and we are designed to respond to people's suffering. My favorite study was one that sought to determine which of two different treatments would best help MS suffers. It turned out that the MS suffers who provided the treatments were helped the most! Helping others, we help ourselves. Emily: To rewire our brains for the better, you argue for regular, focused times of prayer. You've also shared your own habit of praying quietly as your children drift off to sleep. Do you have encouragement for other harried parents of young children who long to spend time with God, but struggle to do it regularly? Rob: I was complaining once to a friend about all the demands of being a parent, and she told me, "Well, it makes you holy." I try to embrace that. Spirituality isn't only in the quiet moments and special times with God. Spirituality is also the work of parenting. Our goal isn't to feel peaceful with God, our purpose is to be like Christ. Find the time you can to talk with God; quiet yourself when you have the opportunity. But remember that God gave you those children too, and he is with you as you parent. Emily: In the second part of the book, you focus on the importance of spiritual disciplines such as multi-sensory worship and acts of service. Can you describe some other disciplines you and Clarissa practice on a regular basis? Rob: Sometimes, I need to change my perspective and see what I'm already doing as a discipline and sometimes I try to add a small ritual to my life. We read children's devotional books to the kids every night. We have a weekly prayer group at our house. We try to say the evening prayer from the Book of Common Prayer on a regular basis. I try to fast in some form during Lent. I have been wanting to memorize Scripture, but that's been difficult for me. Emily: You dedicated this book to several youth leaders from your past who helped you learn to pray. Having grown up in the same church movement as you, I know the Anglican tradition is in many ways very different, yet you seem to treasure aspects of both. Can you describe your former church's approach to the spiritual disciplines vs. your current church's approach? How do they differ and what have your learned/gained from each? Rob: Yes, the church movement I grew up in was very "low church" compared to even a low church Anglican congregation. However, my church growing up did teach me to pray in a deep and intentional way, something that isn't really taught in many churches today. I learned to focus my mind in a way that I could be present with God. The Anglican tradition creates this kind of space in its services, too. While it isn't spontaneous in the same way as what I grew up with, it still allows for the Holy Spirit to guide our thoughts through a structured service that becomes very meaningful. Emily: What do you hope pastors and church leaders take away from your points about genuine community and spiritual disciplines? How should the studies you've presented inform the way church leaders minister to or guide their flocks? Rob: Our connection to other people is an absolutely essential part of our spiritual life. We need churches that connect us to others, not ones that put on a show. Too often our churches are more geared toward attracting attendees than creating disciples. Smaller churches with better connections produce more active, engaged, committed Christians. They grow faster and have more converts. People who are more connected socially give more and volunteer more. Great interview. I read Rob's The Art of Dying, which was excellent, and I can't wait to read this next book. Very cool! I know how important it is to pray, but sometimes we need the stats and figures on it to actually put legs on our desires. Thanks, Rob, for writing this, and thanks Emily for sharing the news! I am definitely interested in this book. I heard Rob talk about what he learned, in our chapel at World Vision here today, and was riveted. The potential applications of this understanding to humanitarian work, to organizational psychology, and to our own personal relationships with God are mind-blogging. Review of Peter Chin's "Blind-Sided By God"
Review of Donald Miller's "Scary Close"
Review of Carlos Whittaker's "Moment Maker"
Book Bargain: Roald Dahl's "More About Boy"